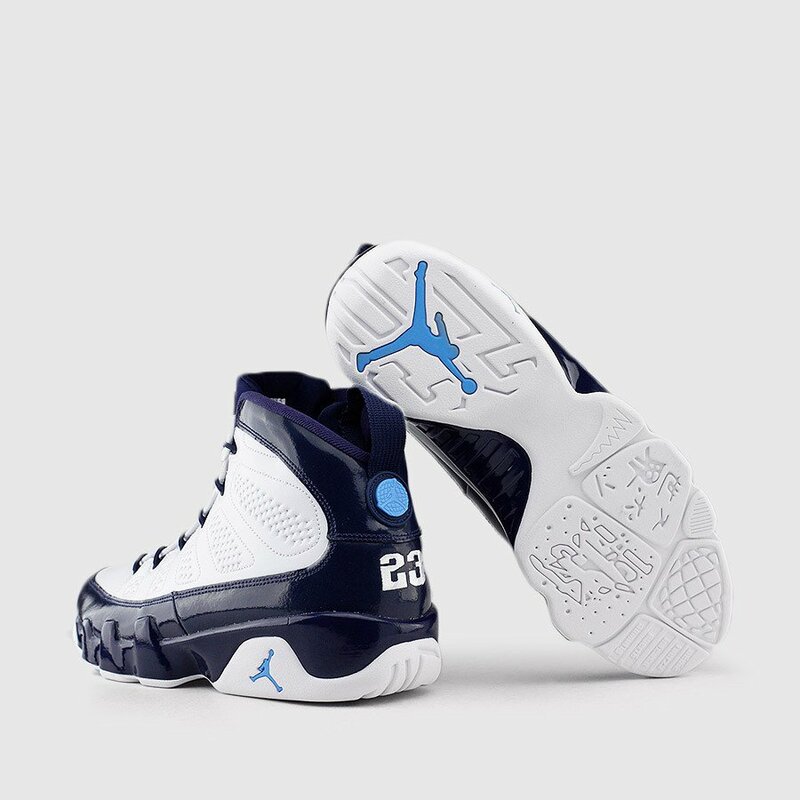 I didn’t find it necessary to give you an estimate of the number of pairs of the Air Jordan 9 Pearl Blue produced after taking a glance at several retailers’s release calendars. Every major and minor retailer that you can think of has been appropriated an inventory and most stores are operating on the “first come first served” basis. The retail price of the shoe is $190 before tax and it’s already available on third party marketplaces for retail and above. Honestly I wouldn’t even pay retail for these sneakers, they will soon be available for 15 to 20% under their original retail value so my suggestion would be to be patient prior to pulling the trigger on these. I think most resellers are up for a nightmare if they are planning on making homeruns on the Jordan 9 Pearl Blue. I think retailers might be able to move up to 50% of their inventory based on the shear fact that resellers’s mark ups are ridiculous ( the least price right now on eBay is $241). This might definitely be good news for the retail market. Footlocker launch locator- stores are operating on the fcfs basis.. nearly every footlocker is getting the shoe.